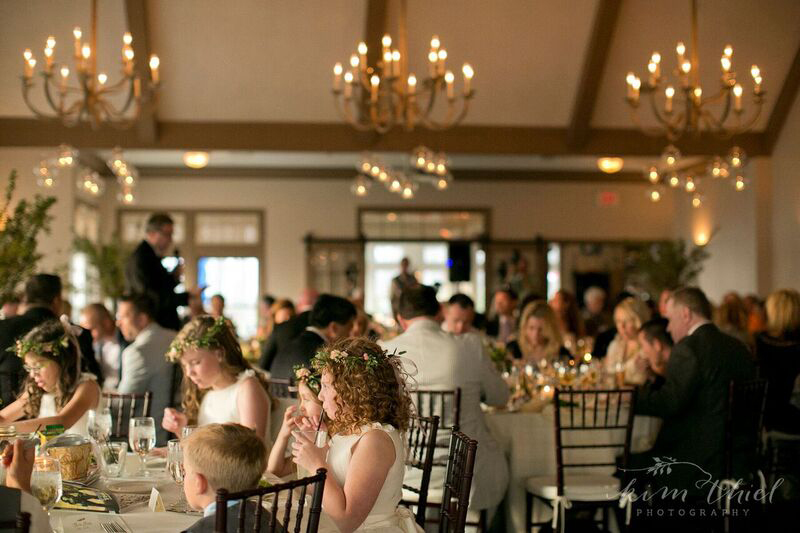 When you choose Horseshoe Bay Golf Club for your wedding destination, we ensure that our professional staff will make your food looks and taste as special as your event demands and your guests deserve. 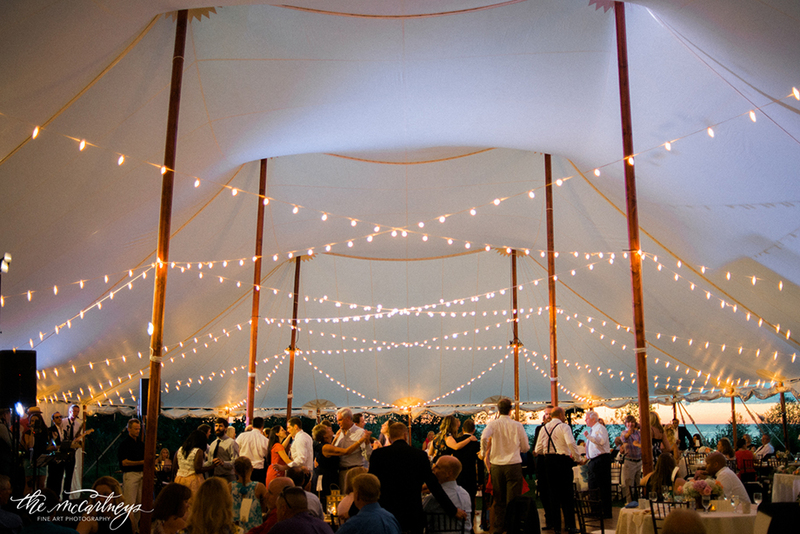 Choose from an assortment of delicious reception and dinner options for everyone to enjoy. 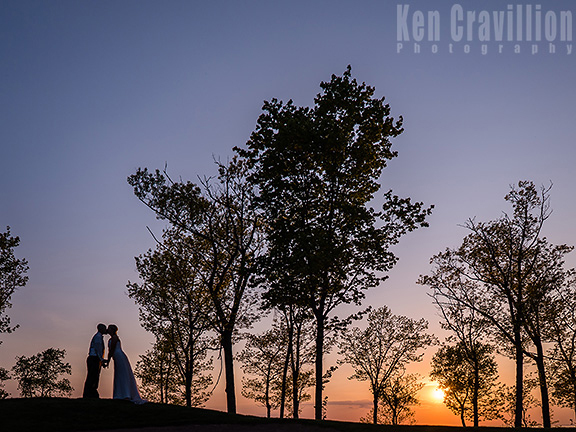 At Horseshoe Bay Golf Club we understand this is the most important day of your life, and we pride ourselves in offering the setting and service as special as the sunset and water that surrounds us. We had the most perfect experience at the Horseshoe Bay Beach House for our wedding! The staff went so incredibly above and beyond for us, and the venue was absolutely unique and gorgeous. 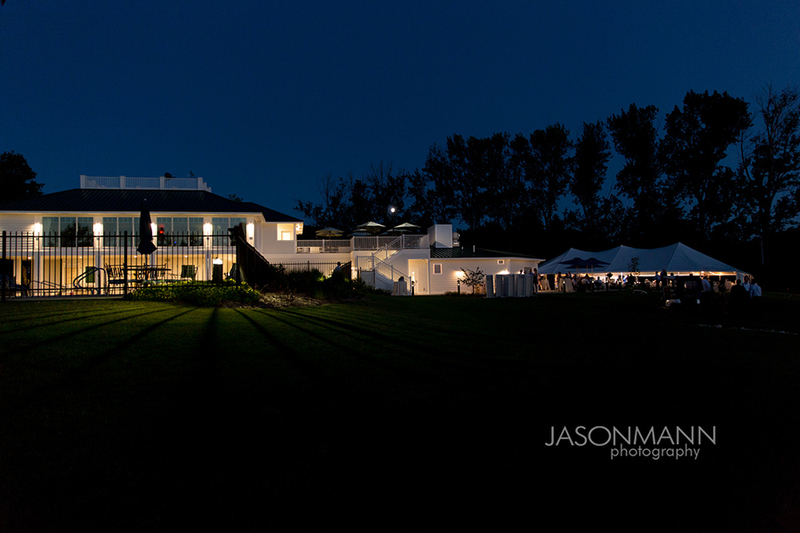 Would recommend the beach house for anyone with a wedding under 100, and the club house for those with a larger wedding. They handled the catering, had a planner to help with everything, had enough decor that we barley had to decorate, plus we were able to have the ceremony on site. 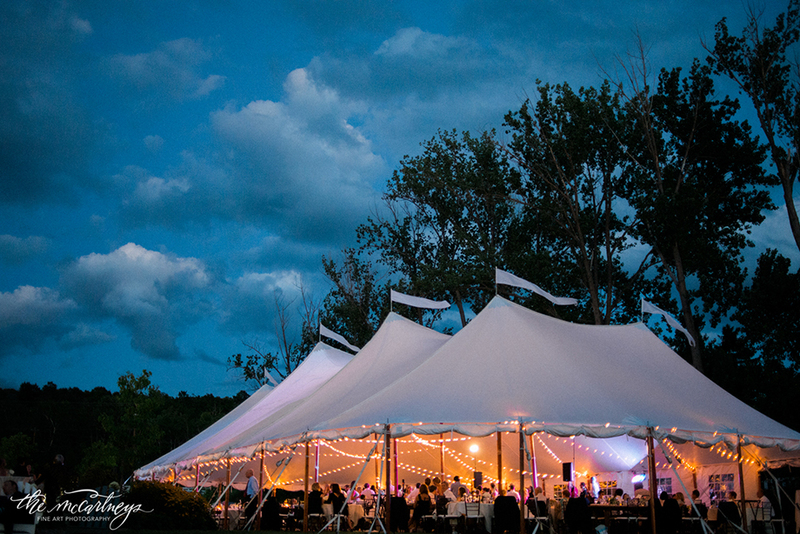 We even had a crisis because our tent company (Shore to Shore Rental) cancelled on the day of the wedding, and the amazing staff stepped up and found a couple of wonderful solutions and saved the day big time. We loved them all!!!! We had our reception at Horseshoe Bay and the venue was fantastic. Our guest count was just over one hundred and the size of the dining room was perfect - it felt intimate without feeling crowded. 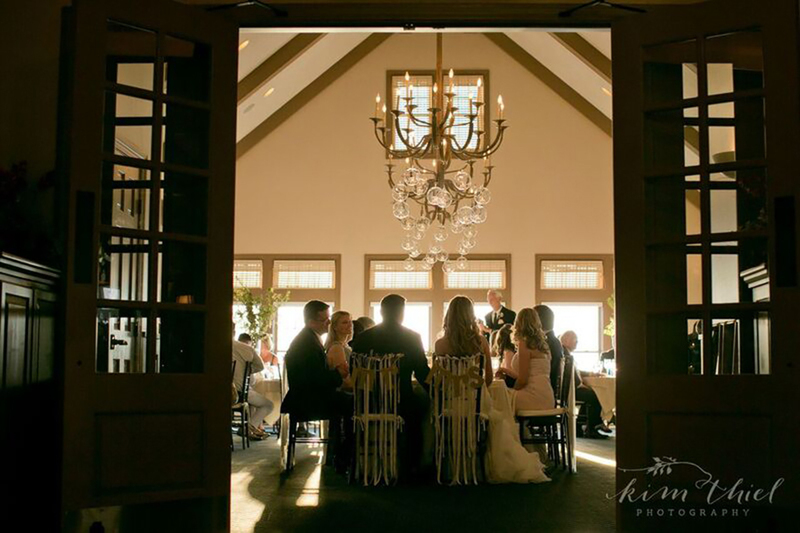 The Club takes full advantage of the beautiful views of the bay with large clubhouse windows that invite in natural light and showcase each sunset. An indoor reception at Horseshoe Bay will be beautiful regardless of the weather (it was rainy and gusty on our wedding day). Another benefit of the clubhouse is that it requires very little in terms of décor. 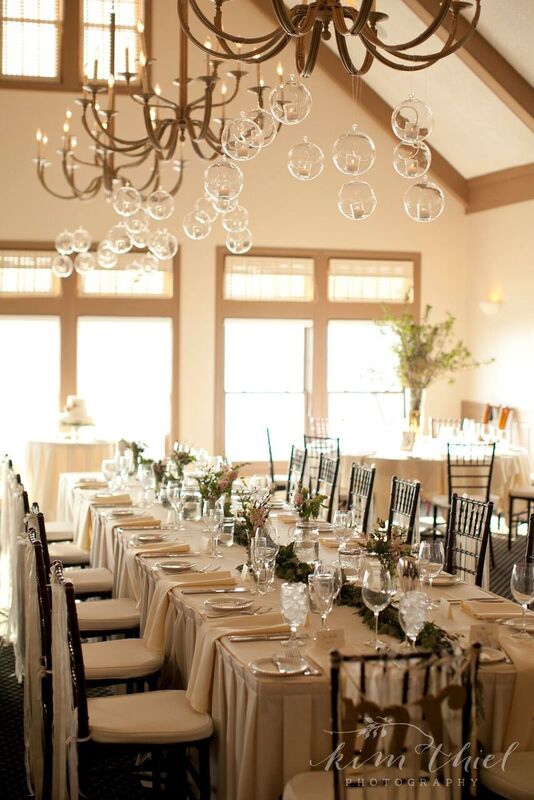 No need for chair covers or an over-abundance of flowers to create a warm, intimate and romantic setting. It was very important to us that our guests were well taken care of and the food was excellent, and Horseshoe Bay delivered in both areas. Another selling point for us was the area used for cocktail hour because it's a fully-functioning bar. This allowed us to let our guests indulge in their drinks of choice without the limitations that came with a pre-set bar package (the venue does offer tiered packages as well but we opted to pay by drink.) 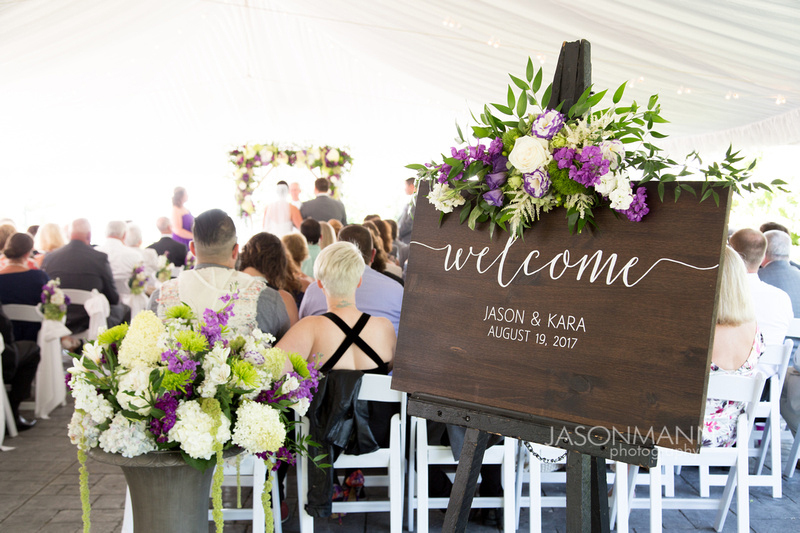 In summary, Horseshoe Bay was a wonderful and gorgeous venue for our wedding and we would absolutely recommend them to others. When we decided to have our wedding in Door County, Horseshoe Bay was immediately at the top of our list. We had visited before with my husband's family, and fell in love with the scenic views and friendly staff. The building and grounds are meticulously maintained. Everything was pristine for our event, and you can't beat the sunset viewed off their back porch. 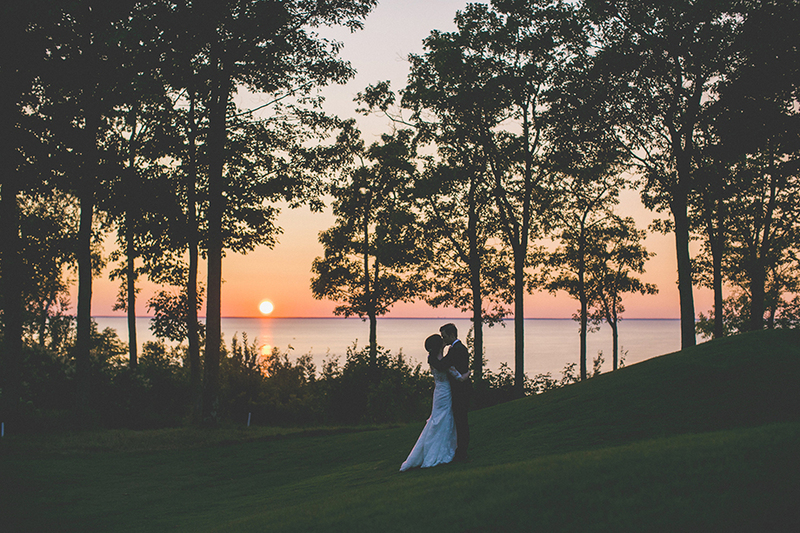 Horseshoe Bay was a great choice for a wedding venue in Door County! Horseshoe Bay Golf Club had everything we were looking for in a venue - a ceremony venue on the water, a stone patio area for cocktails and hors d'oeuvres, a dining room overlooking the sunset, and a quality catering menu with multiple pricing options. The dinner, glass and silverware were beautiful, the food was hot and delicious, the bartenders were great, the bar well-stocked, the decorations and lighting were beautiful. Although we ended up spending more than we all originally anticipated, I was surprised and so happy to be able to find a place that could do everything. 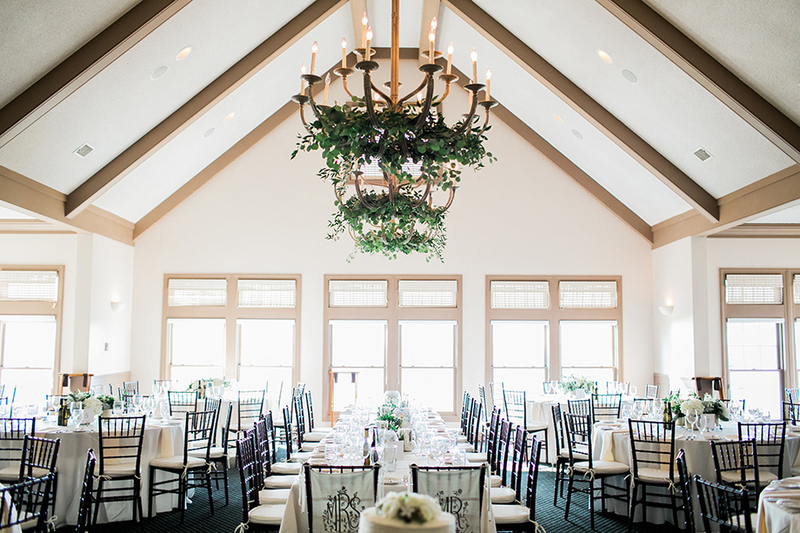 "Carrie Baldwin Smith with Door County Event Planners is absolutely amazing! We could not have asked for a better experience. 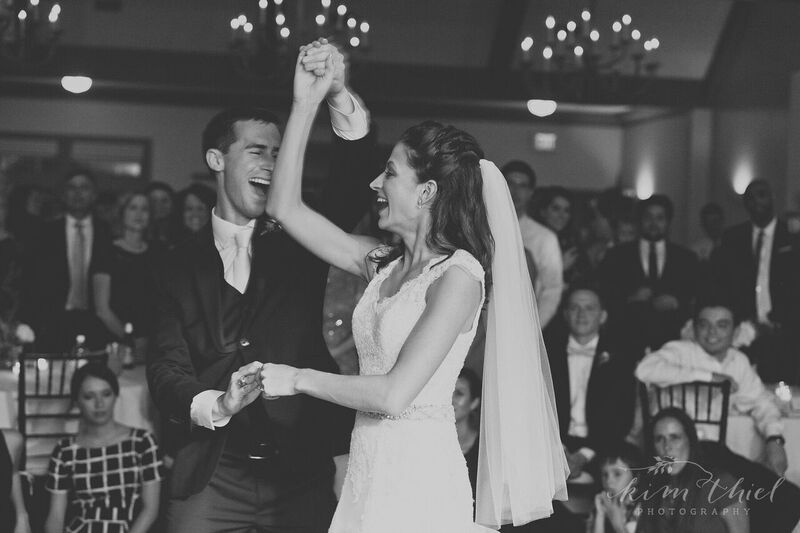 Our Horseshoe Bay wedding was beautiful and an absolute blast thanks to Carrie and the Horseshoe Bay team. 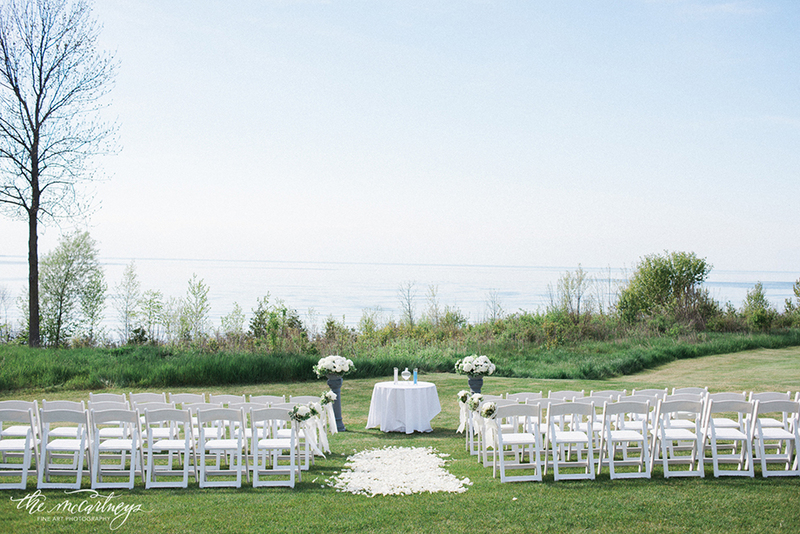 If you are looking to have a wedding in Door County look no further. Thank you Carrie and Horseshoe Bay!"